In celebration of Mardi Gras, the artists of Pyramid Panama City created awesome masks! 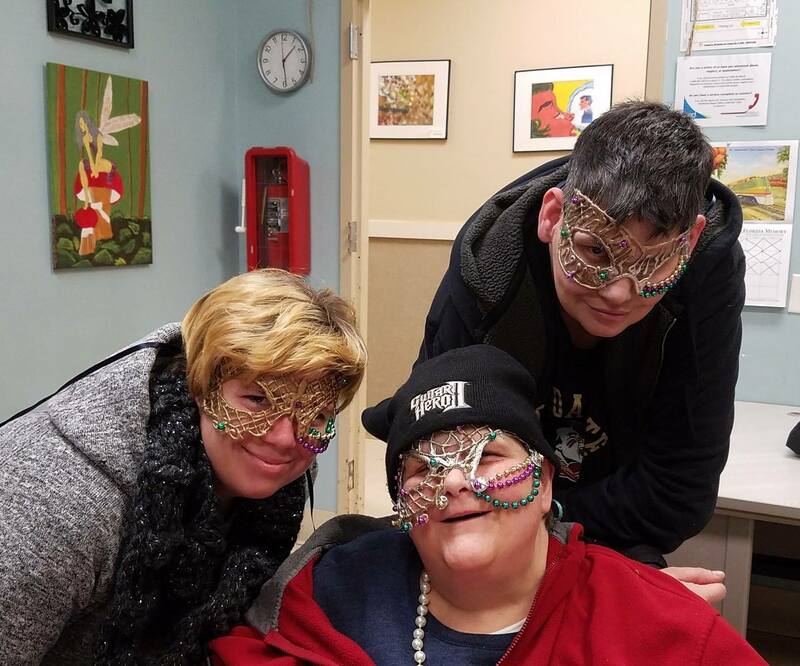 Modeling their masks are artists Savannia Campbell, Sandy Stanley and Jonathan Crowley. Can you say laissez les bon temps rouler?